Villany PDO is the home of Cabernet Franc. In Hungary it is known simply as ‘Franc’. The Kopar wine is one of the best examples of a successful Villany blend. The history of GERE winery started 7 generations ago. As you can imagine, the journey was long, challenging and arduous, but today whilst respecting traditions they embrace modern technology and methods of winemaking. The GERE brand is very well known in Hungary and beyond. Their Kopar wine is only made in exceptional years from specially selected grapes grown on the best slopes of Villány PDO (Kopár, Csillagvölgy, Konkoly, Ördögárok). The wine is a blend of Cabernet Franc, Merlot and Cabernet Sauvignon. Aged in barrique for 16-18 months. 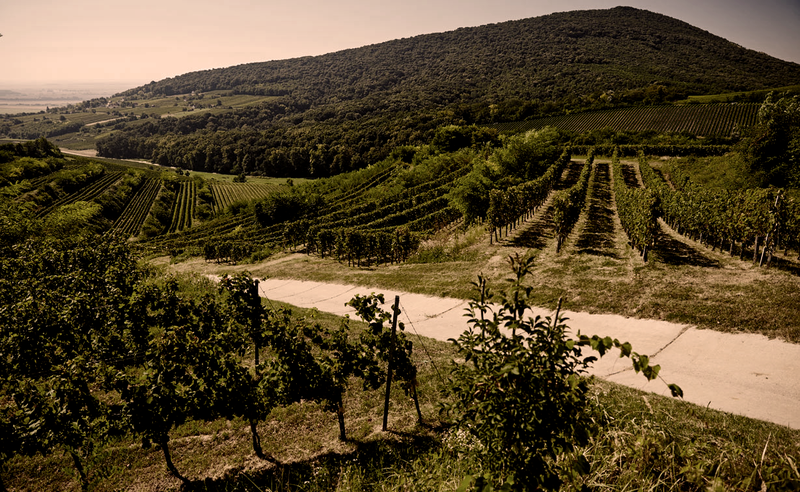 Nowadays the family estate comprises 70 hectares and the young generation takes a very active part in the everyday running of the winery: the older generation passing on old Hungarian traditions and the younger generation adapting these methods to maximise the potential of the wines they make. Very attractive nose, showing pepper, floral and medicinal notes. Quite firm in the mouth with fresh acidity and fine tannins. Intense ripe and rich with notes of vanilla, coffee, cassis and bramble. Fine-grained tannin backbone and carries alcohol well. A classy example of a flagship Villany red. Has definite keeping potential as still very youthful. Fresh and candied red fruit with a whiff of flowers and herbs;light fresh, summery red, eminently chillable, soft and gluggable. Youthful and darkly fruity, with some spicy oak notes in the mix; smooth in the mouth with pleasing weight and richness. Will improve with further ageing. Pretty spice and peach aromas. On palate fresh , fruity, aromatic and zippy acidity.